Cold Lake is a city in the north-eastern part of the province of Alberta and has a lake nearby. This city is about 300 km to the northeast side of Edmonton and is near the border of Alberta and Saskatchewan. The surrounding areas are mostly farmland and hence the population is sparse. 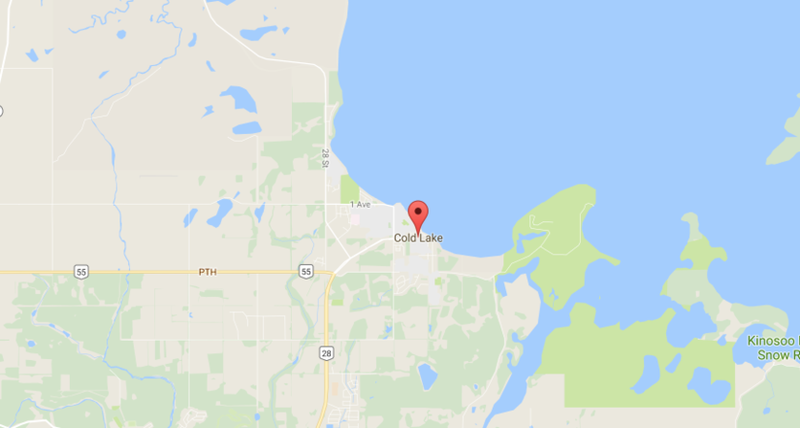 As per the 2016 census, the population of Cold Lake was 14961. This increased by 7.50% over the census of 2011. The Northern Lights School Division #69 and the Lakeland Catholic School District #150 in Cold Lake operates public schools. The Cold Lake detachment of RCMP offers policing services to the city. In Cold Lake, you may find employment in the industries related to military, tourism, and oil. There is a lot of oil & gas exploration and production in Cold Lake that attracts employment. The nearby military base at CFB Cold Lake hosts an annual event for military powers globally that contributes to the tourism industry. This event lasts for several weeks and most lodging facilities are fully booked up. The Athabasca Oil Sands project (Fort McMurray) and the Cold Lake Oil Sands strongly helps the economy of Cold Lake. Since this city is near Cold Lake, you may find a lot of campgrounds here. The campgrounds that are run by the province have a beach, wilderness trail system, and boat launch etc. Another summer favorite is the Kinosoo Beach. The Gold & Winter Club, the trails, Energy Centre, Agricultural Society, Cold Lake Museum and Air Force Museum are other attractions. The museum exhibits heritage, aboriginal history, oil and gas exploration history etc. and is open to the general public seasonally. The Cold Lake Music Festival and the East Coast Garden Party are annual events that attract many visitors every year to Cold Lake. As per the above table that compares car insurance cost by insurers in Cold Lake, RSA topped the cost. RSA quoted an annual cost of $1592 and this was $455 more than the lowest quote. This was a variation of 28.58%. Economical Insurance had the next expensive quote at an annual price difference of $48. The table shows that Wawanesa Insurance had the cheapest quote at an annual price of $1137. SG Canada had the next low quote at $15 higher than Wawanesa. We compared the cost of car insurance in various neighborhoods in Cold Lake by some insurance providers as per a sample profile. All areas had almost similar quotes except for Beaver Crossing where the annual cost was most expensive. The annual cost in Beaver Crossing was almost 18% higher than the remaining neighborhoods in Cold Lake. The above comparison table shows that most of the neighborhoods had similar quotes for car insurance prices at $933 annually. These areas include Ardmore, Beaverdam, Cherry Grove, Fort Kent and La Korey. The Cold Lake Transit is a free service that the city runs in 2 routes that cover most of the city. They run Route#1 through the north circle and Route#2 through the south circle. Both these routes offer services on all days of the week except Sundays and Christmas Day. The Regional Aerodrome in Cold Lake is spread over 245 acres and is about 4 km to the west side of the city. It is also 7 km to the north side of Canadian Forces Base 4 (CYOD). The city of Cold Lake Roads Division is under the Public Work department. They take care of all roadways, sidewalks, curbs, intersections, winter maintenance such as sanding and snow removal as well as repair of potholes. There are snow removal maps on the city website to inform the public about scheduled winter maintenance. The contractors and city crews from Roads Division perform snow removal as per service level need. During winter this is done on a regular basis to avoid accumulation of snow that may hamper traffic. Trucks, graders, blowers work around the neighborhoods to keep them clear of snow as per the plan. Every year in spring, the city website updates a map of street sweeping schedule for that year. This schedule may change as per unforeseen weather conditions but they update any changes. The city crews notify the residents by putting up signage to inform the arrival of the street sweepers. Associated Engineering conducted a transportation study in 2010 to survey the traffic patterns and volumes in Cold Lake. This helped to predict future transportation needs and growing demand for the city. As per the findings of this study, the city made some changes to meet the traffic requirements. They started the twinning project for highway 28 from 10th street in North Cold Lake to 54 Ave in South Cold Lake that is now complete. Additionally, the city is checking whether there is a need to extend the twinning for the rest of that highway up to the city limits.